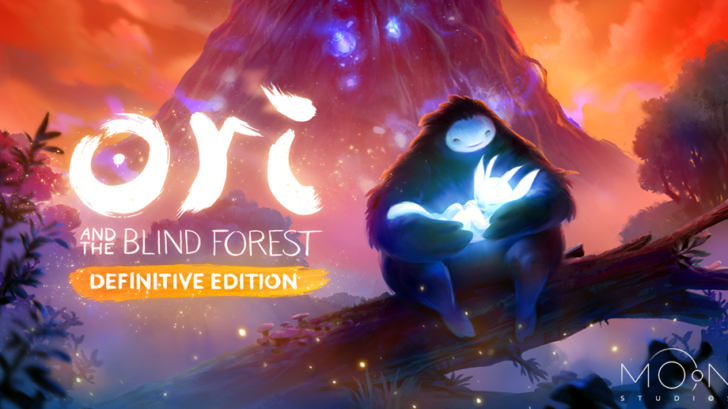 One of the best games available on the Xbox One, Ori and the Blind Forest, received a Definitive Edition (henceforth reference to as “DE”) only a year after releasing. In this new article series I’ll be having a look at games that received remakes, director’s cuts or definitive editions and review how much of an improvement was made upon the original. The story though, is the same in both versions: A storm caused Ori to fall from the Spirit Tree in the forest of Nibel. 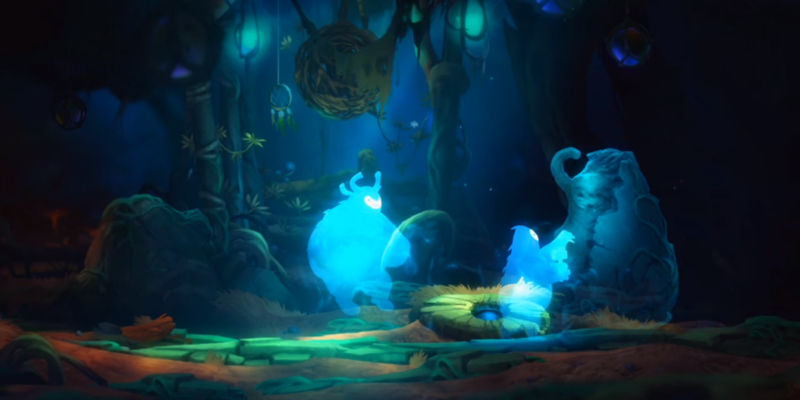 The Spirit Tree tried to call out to Ori but this action accidentally caused the death of the young chicks of the giant owl, Kuro, who retaliates by stealing the tree’s spirit energy. Without the energy, the forest slowly starts to wither and decay. Meanwhile, Naru, another creature, finds Ori and they live together for a while helping each other get to the last food supplies until they both eventually perish. Ori did manage to crawl forth with the last of its strength and collapsed near the Spirit Tree. 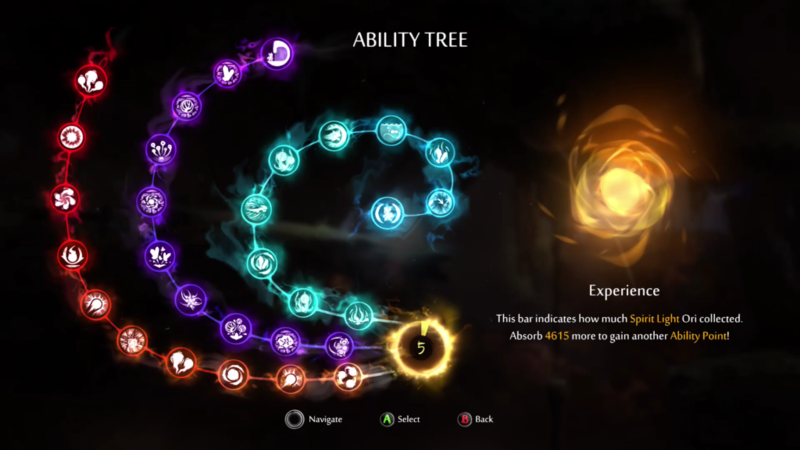 With the last of its remaining power it revived Ori, who shortly thereafter meats Sein, a spirit that guides Ori in the quest to restore the Spirit Tree and who also happens to be Ori’s main means of offense (by shooting homing attacks). 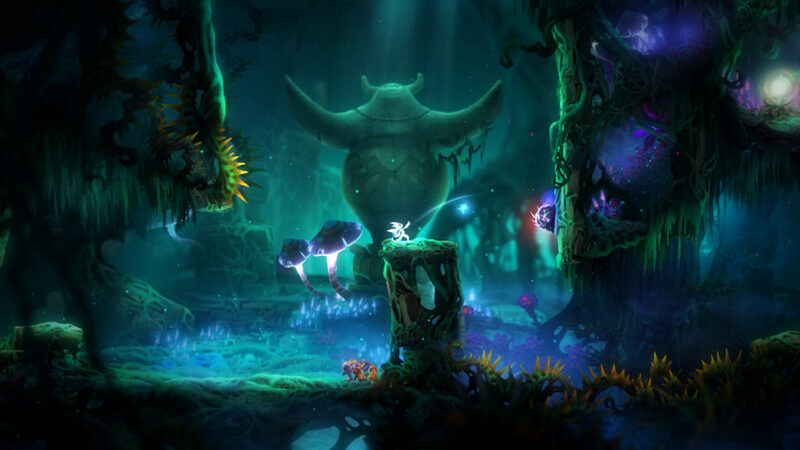 Ori must recover the elements of water, wind and warmth and use these to restore the forest to its previous luster. Graphically the game didn’t change noticeably, the hand-drawn appearance already looked stunning in the original release and it’s still just as impressive here. What’s simply amazing is that not a single background asset is reused in the entire game. Each environment is unique and you’ll never spot the same element used twice. Lies! The Tri-Force is obviously built out of the exact same triangle thrice. The DE does introduce two new areas though: the Black Root Burrows and the Lost Grove. 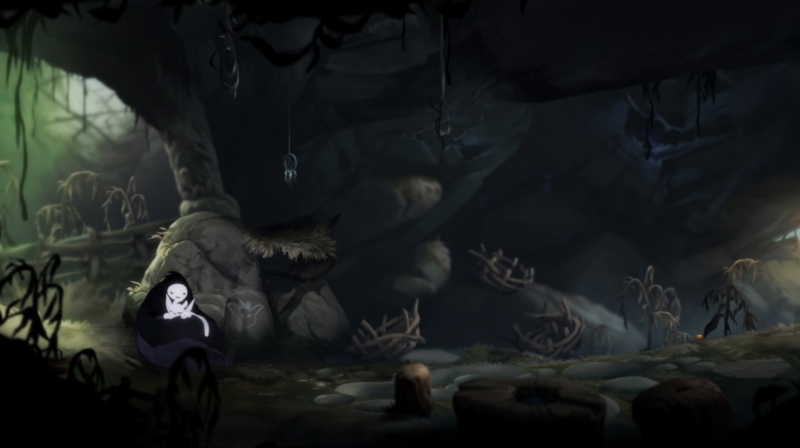 When you first arrive in the burrows the entire area is pitch-black, which makes it hard for Ori to move around safely. Eventually you’ll find a glowing orb that increases your range of vision but at the same time limits your mobility. (no more double/triple jump for you!) 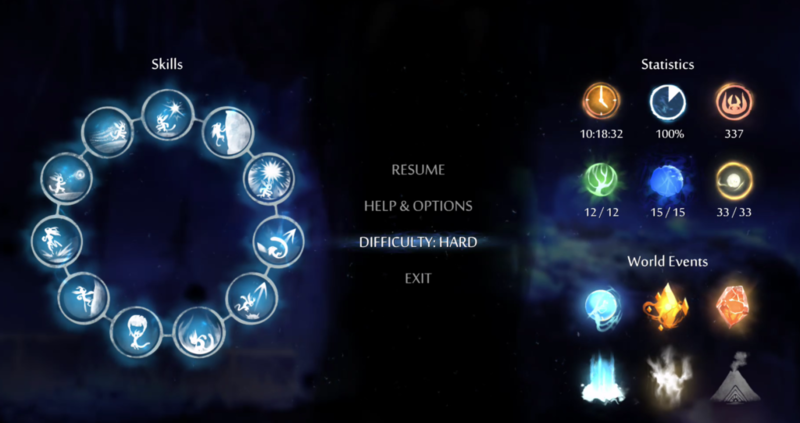 Make it through this area and get enough of Ori’s skills by progressing further into the game and you’ll also be able to explore the Lost Grove, where you get to learn more about Naru’s past. These two new areas are vast and contain many new secrets not found in the original. 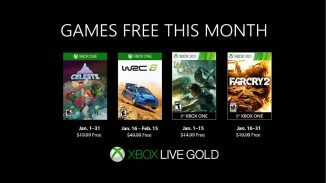 You’ll also get to earn two new abilities: Dash and Light Burst. The first is a short burst of speed forward that helps with evading traps and dodging enemies. I especially appreciated this towards the end of the game as it lets you move around so much quicker. You even get to upgrade it so you can use it in the air. Between your Triple Jump, the Air Dash and Gliding, you’ll have perfect control of where you’ll land. The latter ability, Light Burst, is a throwable bomb that is very effective against enemies but it does require you to use one point of energy for each activation. A lot of secrets, new and old, now require you to use the Light Burst on a trigger to open a door. Keep calm and throw a Bomb. If you first played the DE it will be very hard to go back to the regular version because the Air Dash especially is something you’ll come to rely on. Speaking of things you shouldn’t take for granted, I haven’t even mentioned the best improvements yet that will make your lives a lot easier. While the game lets you save at any point (at the cost of 1 energy) there are also a few actual savepoints where you can save and restore to full health/energy. In the DE these also function as warp-points, so you’ll be able to travel to the other ones quite easily and save you some valuable time. You can also warp to them in locations that are normally blocked off after your first visit to them (which was very frustrating in the original as you were almost required to use a guide or know the game inside out). It was very frustrating for completionists that they were cut off from completing the game and were required to start a new save-file. In fact, the original version didn’t even let you continue with your game after you beat it. Two new difficulties have been introduced as well. There’s the 1-life mode where your save-file is deleted should you ever die (and yes, there is a new achievement for it) but more importantly: they introduced an easy mode. While the games doesn’t get noticeably easier (enemies still seem to die in the same amount of hits) it does now have automatic checkpoints for the different escape sequences that happen in the game (and if you’ll check my stats above, at least 20% of my 337 deaths could be blamed to those). 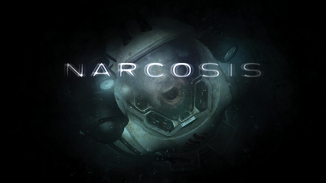 They likely introduced this as they could gather from the achievements that some people never got past the first escape sequence and just stopped playing the game because of it. 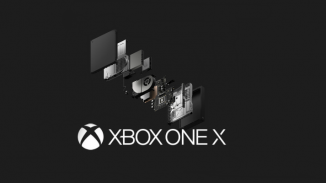 Why Did The Xbox One X Release With An HDD Instead Of An SSD?